Billy Lumsden evaluates Sunday's fantasy six-a-side elite player options as Arsenal host Everton at the Emirates Stadium, live on Sky Sports. The hosts have won their last three matches, beating Newcastle 2-1 in their last outing thanks to goals from Granit Xhaka and Mesut Ozil, while Everton started the season in fine form, but have failed to win in three despite only losing one game out of their opening five, which came at home to West Ham last time out. 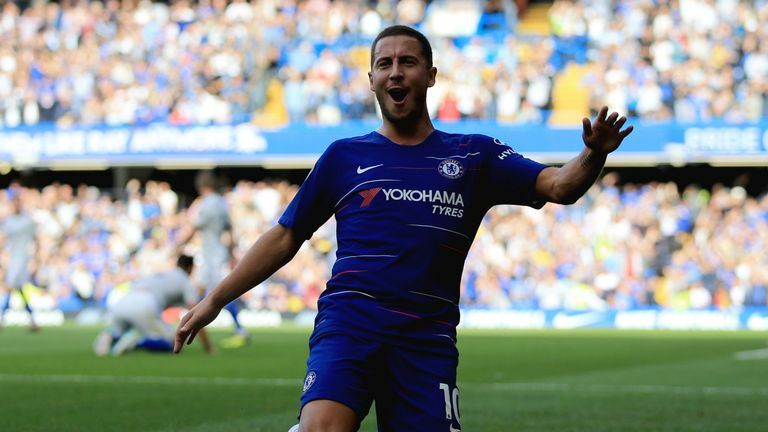 Your elite player choice is always a testing decision, especially when only 22 points separate all four players in question as well as the added fact they have started their respective Premier League campaigns in a rich vein of form. Aaron Ramsey is yet to find the net for the Gunners, although he has scored for Wales in the UEFA Nations League against Republic of Ireland. Despite his goalless start, the midfielder has created nine chances in his four starts which have accumulated 63 of his 179.5 points thus far. Ramsey may not be the frontrunner of the elite player options, but he does boast the most points out of the four, just 2.5 more than Everton's Richarlison. Pierre-Emerick Aubameyang has scored 10 goals in 13 appearances since joining from Borussia Dortmund last season, which highlighted Arsenal's need to break their transfer record in order to sign the Gabon forward. Aubameyang has only scored once this season for Unai Emery's side, which came in their away win at Cardiff, though he did score twice in the Europa League in his last appearance. His point-pulling power cannot be overlooked, as he has mustered six chances for his team-mates this season, which can boost the points tally for Sky Sports six-a-side players. Richarlison has hit three in three since his summer signing from Watford and is currently averaging a goal every 77 minutes. The Brazil international has the highest points average out of the elite players at 59 per match, an impressive 23.1 ahead of his nearest challenger Ramsey. Richarlison would have accrued more points had he not been sent off against Bournemouth, meaning he missed games against Huddersfield and West Ham in the Premier League, so he has the potential to shine as your Sky Sports six-a-side elite player on his return. The ex-Arsenal forward has already scored twice this season and another two will see him better his tally for the whole of last season. He has recorded one assist too, as well as creating four chances, proving he has the ability to supply his team-mates with opportunities as well as finishing them. Walcott also possesses the ability to win free-kicks, which can be highlighted through the seven that have come his way this season, more than any other elite player, giving Sky Sports six-a-side players another reliable source of points. Pick your team and compete for the guaranteed £1k prize here.